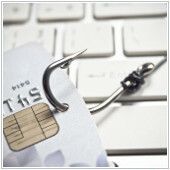 The financial services industry has long been a heavily targeted sector by cyber criminals. The number of attacks that involved extortion, social-engineering and credential-stealing malware surged in 2015. This means that these institutions should strive to familiarize themselves with the threats and the agents behind them. Here are 7 new threats and tactics, techniques and procedures (TTP’s) that security professionals should know about.